Sofia Elisabeth is a trainee in Communications at sustainable natives eG. She believes in the magic that is created when combining sustainability and creativity. She uses design and communication as a platform for initiating change and bringing mindful holistic approaches to this planet. 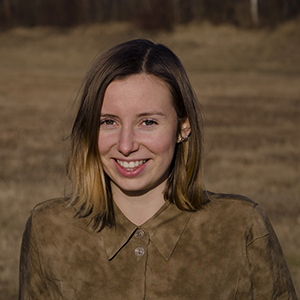 She has an international background as she was born and raised in Canada with German parents, and completed her BA in Design and Sustainability in Växjö, Sweden. During her studies she also founded a non-profit organisation “Smoothies to Sustain” that rescues fruits and vegetables and gives it a new life in the form of smoothies. Her sustainability focus lies in conscious consumption and behaviour change. Sofia Elisabeth’s communication expertise at sustainable natives eG lies in graphic design, illustration, social media, content creation, and English copywriting. The kind of communication projects that inspire her most are the ones where complex concepts are translated to be impactful, transparent and compelling.